Last week any Microsoft Student Partners who wanted to continue to be in the programme for the 2015-2016 academic year had to reapply, as I will be graduating in September I of course was unable to do so, bringing around the end of my time as an MSP. 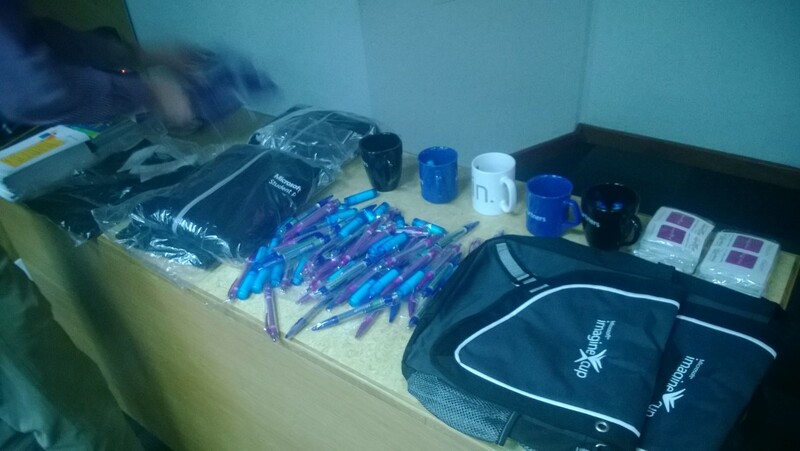 Whilst we got a lot of cool perks like endless free Windows Phone and Windows 8 devices, this paled in comparison to the opportunities of travel and honing our skills both in presenting and dealing with people and in programming and development. If you’re thinking about becoming an MSP — go for it. You’ll be afforded a lot of opportunities the average student just doesn’t get, which both you and future employers will love. I’ve been very lucky this year because I’ve had a rather busy Summer Break. Rather than sitting around being bored I was fortunate enough to be in an Imagine Cup world finalist team, and then spend a month road-tripping around the United States with my friend Rob. The only downside has been that I’ve been unable to blog about it all! So I’ll try to catch up on it now. This years Imagine Cup World Finals were held in the wonderful city of Seattle, Washington, just a few short miles from Microsofts headquaters in Redmond, Washington. I arrived in Seattle and met with the rest of the UK team, with whom I had only ever spoken to online. Our team was called Vanguard and we developed a product called Ripple, a Windows Phone application which allows you to contact people close to you — simply put, a location-based social network. I had developed both the consumer-facing front-end application and the back-end web services. Microsoft had clearly already shown an interest in the product by making it the winner of the UK heat and promoting it to the World Finals, our job for the first few days of our trip in seattle was to make a splash on the world stage by presenting a complete business-and-technological pitch as well as provide live hands-on demonstrations to both the judges and the public. The first two days of being in Seattle were manic, sub-five-hour-sleeping days, packed full of pitch writing, code changes and endless pitch practices. On the third day we presented our application to the world finals judges for the first time, and for any team — let alone one that had only met face-to-face 48 hours prior — I felt we did pretty well. The team laid out the problem cases that the application resolved, a monitization strategy, and some figures on the potential market size. I presented an outline of how our system worked, some of the unique features and algorithms, and a live demonstration. 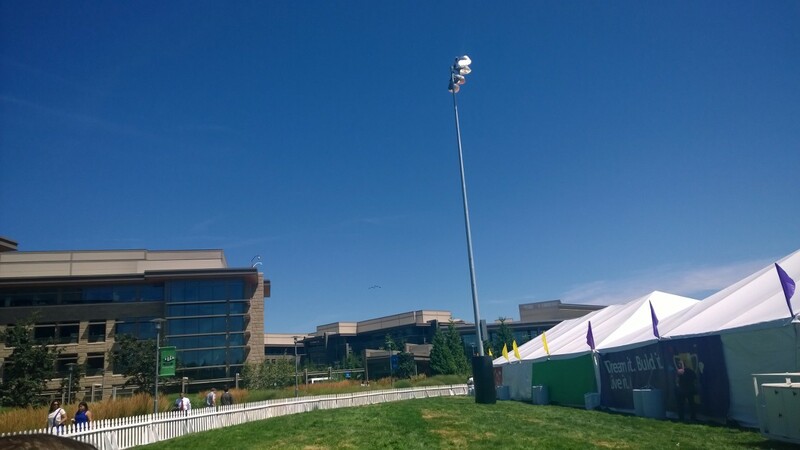 Later on the third day we had a showcase at the Microsoft Redmond campus for people on-site to try out our applications and provide feedback. The first thing I must say is how beautiful Microsoft’s campus is — it’s really green, with lots of trees and plants, and very inviting. Its definately somewhere I could see myself in the future. The Imagine Cup took place on the same week as Seafair, a festival of boat racing, air shows and fireworks in seattle. Here you can see the Blue Angels (the american equvilent of the Red Arrows) practicing over MS HQ. 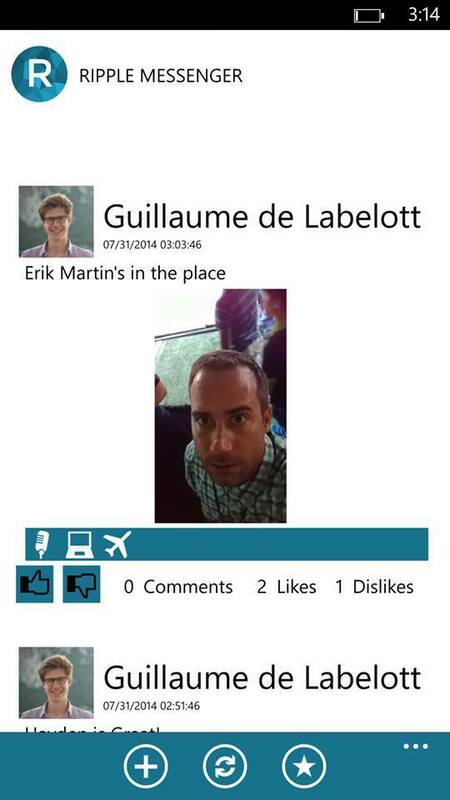 A particularly proud moment at this showcase was when Reddit’s General Manager — and one of TIME’s top 100 most influencial people in 2012 — Erik Martin took a selfie using the application I had built. 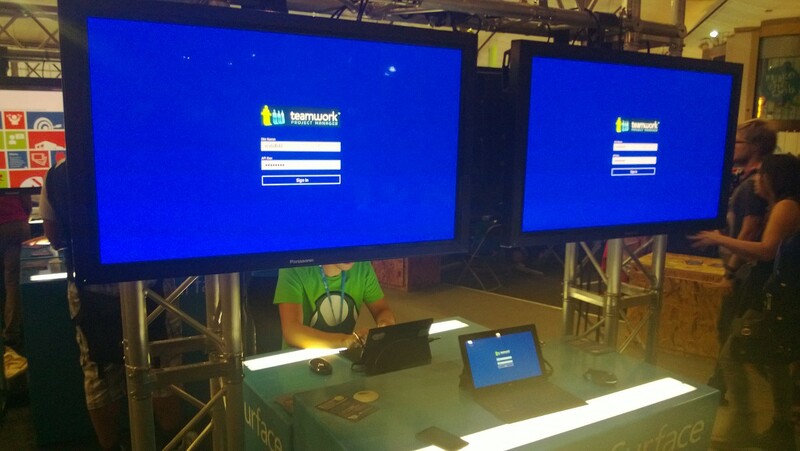 Day four rolled around quickly, after a night of fixes and changes based on the feedback of people at the Microsoft showcase — which was the first time the application had been used extensively in public. Day four was all about showcases, but the first one was to the judges so we pulled out all the stops. The judges were really useful and gave a lot of feedback about the application, business ideas and development practices. Later in the day we were fortunate enough to be invited to meet Steven Guggenheimer, the man in charge of developer experience at Microsoft. The one thing that stands out to me from day 4 of the event was how surprised both the judges and Steven was at how much we had managed to accomplish in just under 2 weeks of development time, with only one developer. Many of the other applicants had been writing their applications for years. Day four signalled the end of the competition matters for us, we just had a while to relax and wait for the results. In this time we kayaked (and fell into…) Lake Washington and had a few beers with both the locals and our fellow competitors. It really was great fun to meet people from all around the world who are as passionate about development and technology. We also had time to look round the Microsoft Employee store and catch the fireworks at Seafair. The results of the competition were accounced at the Washington Convention Centre in front of several thousand microsoft staff. Myself and the UK team were the first people in so we got to sit in the front row with Satya Nadella (Microsoft CEO), Alexey Pajitnov (Inventor of Tetris), Erik Martin (GM, Reddit) and Hadi Partovi (Code.org, Co-founder) which was really cool. Unfortunately we didn’t win, but I think everyone in the team can be proud of how much we did in such a short space of time, and with the limited resources at our disposal. I’m thinking of probably entering again next year with a team of my own, and I would encourage everyone else to do the same. Last week I was lucky enough to be put in contact with Guilaume and the rest of the team at Ripple. Ripple is a start-up of three students who have recently won the UK leg of the Microsoft Imagine Cup with their idea for a location based messaging app which allows you to contact people you may not know within a certain distance of your location – great for something such as freshers week where you want to meet new people. Though Ripple have won the UK leg of the competition with their idea they are yet to have actually built the product. The three people currently involved with ripple had a great idea, but lacked the programming skills required to bring it to fruition. In order to find a student able to help them develop the application they contacted the Microsoft Student Partner program. Through the MSP program I got in touch with Ripple. After a few Skype video conferences and telephone calls the team welcomed me on board, which means that through an odd bit of luck I am now an Imagine Cup 2014 finalist. The Imagine Cup is a global student-only competition run by Microsoft in 190 countries which seeks to get students involved in solving social, economic and environmental problems through the use of technology. Each year winners from each country go to the world final in a different city to compete against each other – this year’s final is being hosted in Microsoft’s own back-yard, Seattle. Winners can walk away with up to $50,000 prize money and a once-in-a-lifetime opportunity to meet former Microsoft CEO Bill Gates and current CEO Satya Nadella, so wish us luck! 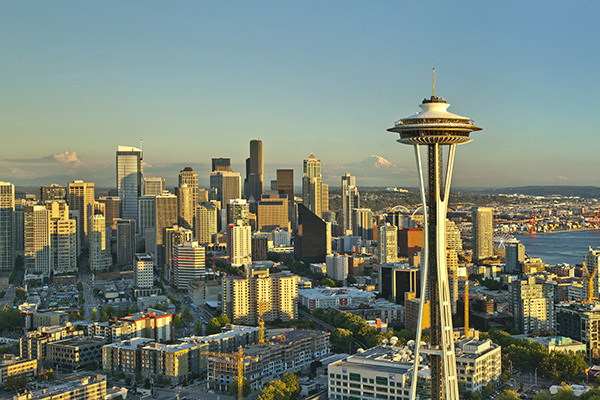 Regardless of how well we do I can’t wait to visit Seattle and do some of the awesome activities Microsoft has lined up for us, including going up the famous space needle. I will, of course, keep the blog updated throughout the course of development and the competition itself. As promised I ran the Micro-talks event at the University of Hull Department of Computer Science Christmas Bash (try saying that 10 times quickly) last week. We had a surprisingly high turn out and a lot of familiar faces got involved! In fact, the room had nearly twice as many people in by the time it filled out as are in the photo above — I counted around 45 in total. I started us off by managing to throw together a few slides, and talk for a few minutes, about entering the world of open source for the first time. If you found yourself inspired by that you should check out my blog post on the same subject here. The assortment of prizes I bought along for speakers and listeners alike! Once I’d finished my bit and introduced the prizes, generously provided by Microsoft, fellow MSP Merrick Sapsford, took the floor to talk about why developing for charities can be a worthwhile endeavour. Merrick develops applications to support a charity which maintains and flies the last XH558 Vulcan Bomber. Through this work he has managed to make connections with other aviation companies that are giving him paid work, has managed to get into a list of some of the top grossing apps on the iPhone Store and has even managed to get a few free iPhones in the process. You can check out his app here. 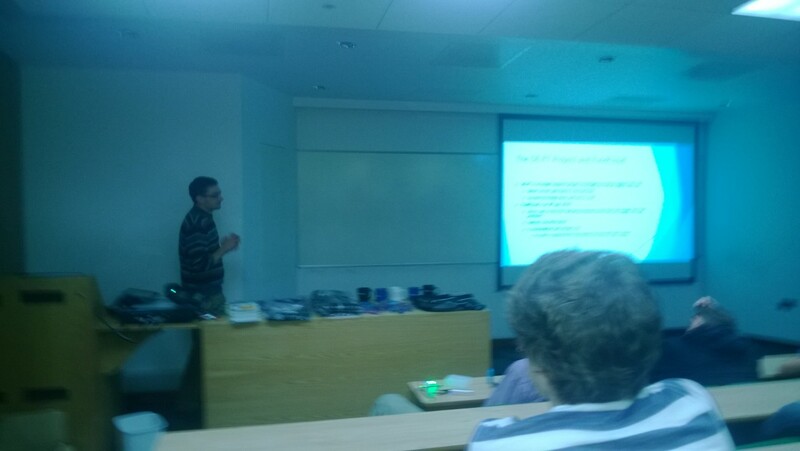 Lecturer Rob Miles had a presentation of his own, which included some cool lights which he could change the colour of using the Bluetooth connection from his Windows Phone. You can check out Robs round-up — and considerably better quality photos — on his blog. To finish things up Simon Grey, without the use of even the 4 slides he was allowed, invited everyone to sign up for Global Game Jam 2014. GGJ is a games development competition over 48 hours, like a double length Three Thing Game, which takes place all across the world, starting at 5pm in each time zone. This year Hull will be hosting the biggest individual event in the UK, in a collaboration between The University of Hull, Hull College and the Grimsby Institute. Simons put a lot of work in so if you’re interested you should sign up here. Overall the event was a success, a lot of people heard and learnt about a lot of cool stuff. Hopefully people were inspired to do something new, and if not at least there was pizza afterwards… 😉 I hope anyone who nabbed a prize enjoyed what they got. The Microsoft-branded lip balm seemed to be a crowd pleaser at any rate. Hopefully we will take what we learnt from this event and try something similar again next semester! Today was quite an exciting day for me and my relationship with Microsoft, the company behind the Windows Operating System and The well known MS Office Software. This afternoon I was involved in a Lync meeting with a few of the people in the Academic Audience team learning about what I would be doing when I go to work for Microsoft for a week at the O2 Arena at an event called Campus Party. an annual week long, 24-hours-a-day technology festival where thousands of “Campuseros” (hackers, developers, gamers and technophiles), equipped with laptops, camp on-site and immerse themselves in a truly unique environment. 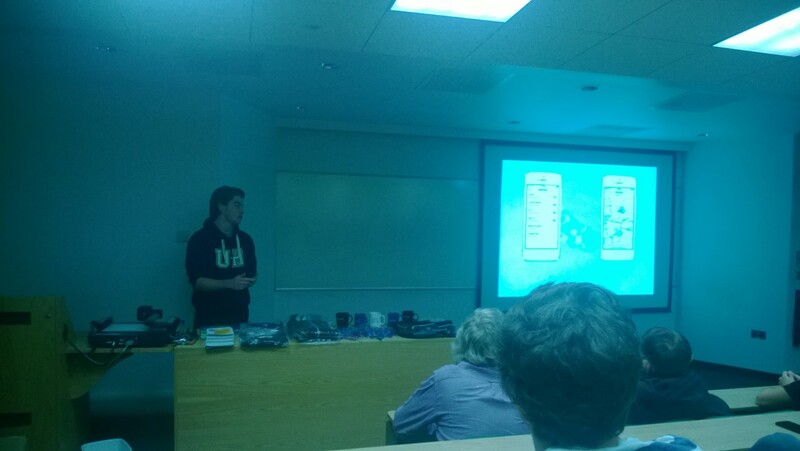 Me and a few other Microsoft Student Partners, as well as some others from the University of Hull will be promoting development on the Windows Phone and Windows 8 platforms, we even get our own Microsoft Shirts, which are bound to be fashionable ;). I look forward to it, its going to be a lot of fun and a great way to meet a lot of interesting people. Danny Brown from Hull is one of our MSPs and has worked with us to help promote Tech and gives invaluable “constructive” feedback on stuff we do. He’s written some apps and also worked with us on a project to build an incentives website and back end working quickly! I’d like to share that site but it’s been taken down as the incentive isn’t running any more. Anyway, he has started talking about his new venture and I thought it might inspire other students and startups to see what’s possible with skill, commitment and a certain amount of dedication. Oh and I imagine there were a few pints of Guinness involved as well! Here it is and connect with him via his blog or LinkedIn. Always nice to be referred to as inspiring! A big thank you to the Microsoft Team, I look forward to seeing you at Campus Party in early September! A few weekends back was the Microsoft Student Partner UK Summit for 2013. As I’m a first year MSP it was my first experience of such an event and I must say I thoroughly enjoyed it. It was hosted at Modern Jago in the heart of Central London, which is always a nice place to be! There were lots of inspiring talks from several softies including Andy Wigley talking about porting between Windows Phone 7/8 and Windows 8, Ben Nunney talking about developing a great user experience and marketing your apps, but most interesting to me was a talk presented by Mike Taulty about Windows Azure, particularly Windows Azure Mobile Services — a service which can be used to easily set up database driven RESTful services which integrate easily with Android, iOS and of course Windows Phone 7/8 Applications. I spent much of the Saturday of the two day event working with Kevin Lewis, the designer I have been working with on the App Builder Rewards website, implementing additional features to the site. 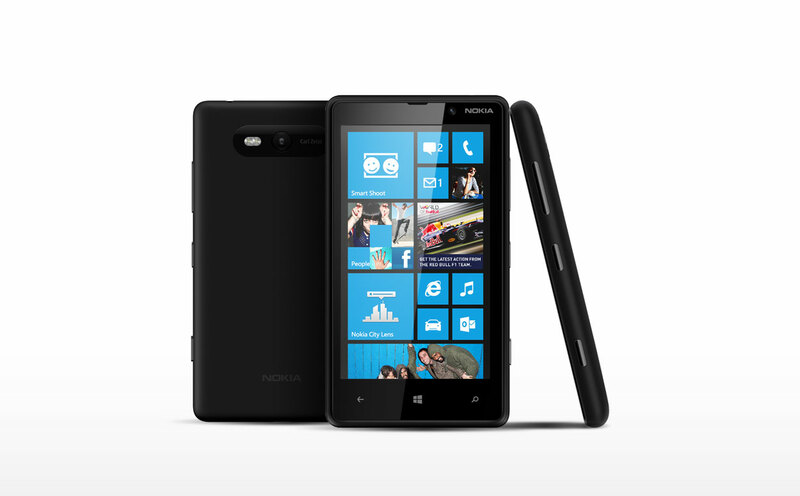 I also met up with Paul Lo, the guy in charge of the program who thanked me for my work and gave me a Lumia 820 Windows Phone 8 Device as a thank-you for completing so much work at short notice — which I will review soon. It was really nice to finally meet, in person, the people I had been collaborating with on the project and speaking to constantly through VoIP, Instant Messaging and Email for the previous two weeks — almost like re-meeting people I already knew. In the evening I made the short train journey to Milton Keynes to meet up with my family and my close friend from back home Sam Marr to see the comedian Harry Hill at the Milton Keynes Theatre and grab some dinner. A great evening was had by all! Once back in London I joined the aforementioned Ben Nunney and Co. for a few drinks in the hotel Champagne bar before retiring to bed, ready for an early start. At 9:30 sharp on Sunday Morning we started again, and I spent much of the day working on my Regtransfers Application for Windows 8. 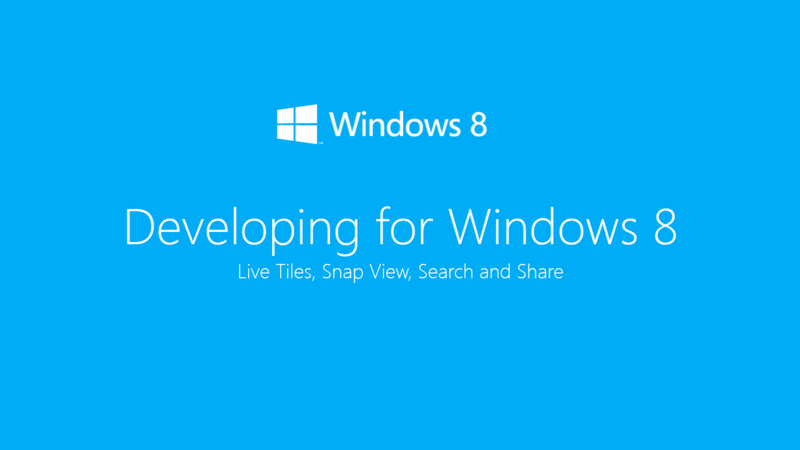 Between working on that and networking with my fellow MSPs, in the social sense — not the HTTP sense 😉 — I also continued writing a presentation I intend to present at university called “Developing Windows 8: Live Tiles, Snap View, Search and Share”. After mentioning it to Dean Meehan, he suggested I ask Phil Cross if I could present it to the rest of my fellow MSPs. So I did. The presentation went quite well, and I hope that everyone took something away from it. 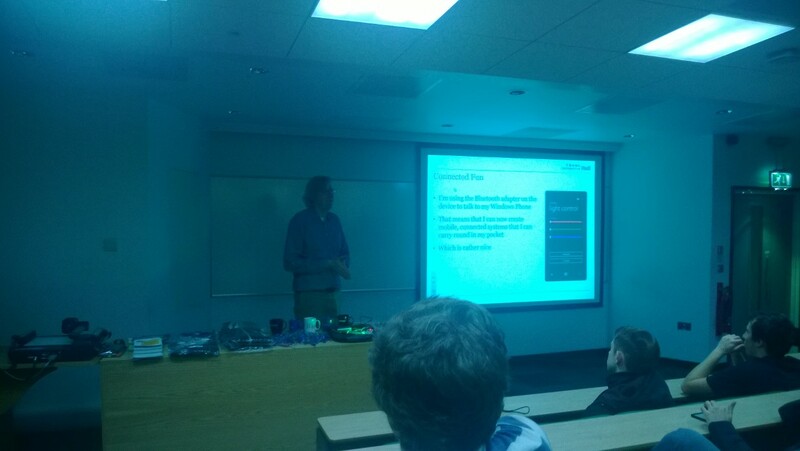 I was particularly pleased because after I’d finished presenting a Mechanical Engineering student came and asked for a copy of the presentation and said it included the best instructions on how to implement the “Live Tiles” feature he’d seen! Always nice to hear! You can view the presentation for yourself here. Overall I had a fantastic weekend full of catching up with old friends from Dublin, Programming and Comedy, what more could you want? 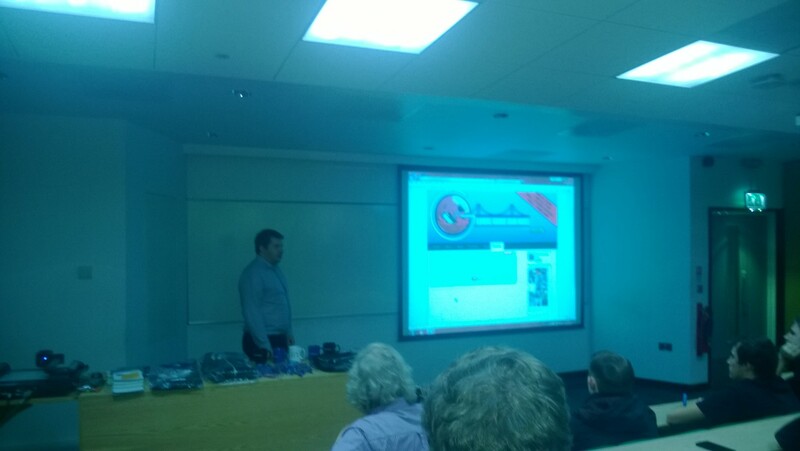 A big thank you to Phil Cross, Ben Nunney and the rest of the Microsoft Staff and presenters involved!